Have you heard about Arbonne before? I’d only ever seen a few Tweets about the brand since I started blogging last year, so when I received a box full of goodies to try I was more than a little curious and excited. Like Avon, their skincare and cosmetics ranges are only available through representatives and on their website. This sparked my interest in the company and I went online to look at all the products on offer. I received lots of treats for my whole family to try. Andy and I were given some luxury skin care products and even Annabelle had a variety of toddler and baby shampoo and creams. 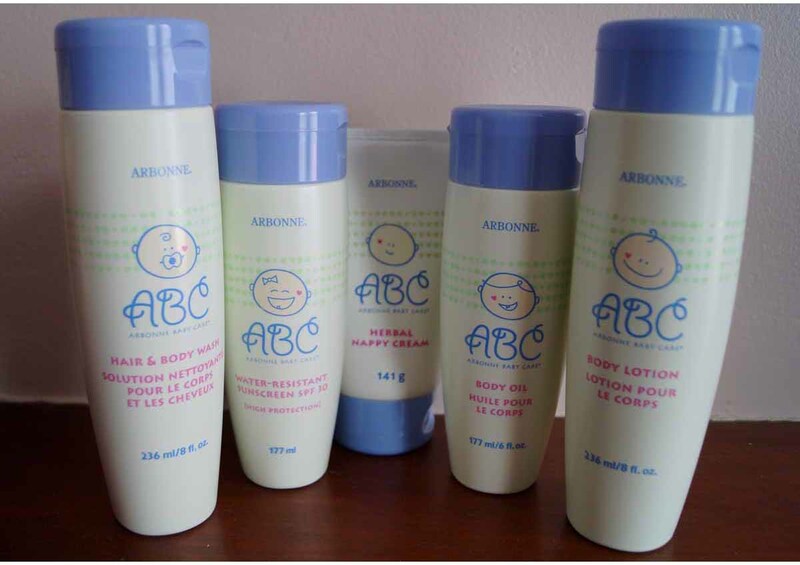 It would be a bit too much to share it all in one post so I’ve broken it down by family member starting with the youngest, our little Miss D.
So what did we have in our box of Arbonne Baby Care? Well, there was sun protection, ideal over the summer we just had, a shampoo and body wash, a herbal nappy cream, moisturiser and a body oil. The sun protection was definitely my favourite product. It may sound odd to choose this as top dog but I just loved the smell and consistency. Granted, Annabelle may have looked like an eskimo when I initially applied it but it quickly sinks into the skin as a moisturiser would. I do think this is a luxury purchase for me and our family. In comparison I tend to buy the own brand, transparent sprays from either Boots, Superdrug or Sainsbury’s depending on the offers but to splurge once a year on a product that is rich in antioxidants, vitamins and botanicals is admittedly quite nice and it is important to look after little ones with such delicate skin, isn’t it? Which leads me on to the shampoo and body wash, which I must say, I have been known to spend a bit more on for Annabelle. When she was a baby we went months before using any products in her bath and when we did, we found that a lot of brands, would dry out her skin. This Arbonne two-in-one product has been gentle enough for her soft skin and doesn’t leave any red irritated patches as some other body washes have done in the past. After the first use, her curls were more defined, whereas it is normally a big ball of fluff! I do like shampoos that you can still smell in hair throughout the day (we have a morning routine rather than bedtime bath) but this is odourless after rinsing out. That’s not really a flaw of the product though as it is full of natural ingredients rather than artificial smells and function is more important to me. The nappy cream was the next thing we tried and to be honest, I only have one product I can compare it to. Since Annabelle was born we started with Sudocrem and it always worked, so I never tried anything else until now. The Arbonne herbal nappy cream has a similar consistency but is slightly thinner so it took a couple of applications to adjust to and find the right amount to squeeze out for the best coverage. I like being able to dispense from a tube without scooping from a tub as that can get in my nails and make a bit of a mess. It works as well as Sudocrem always has but has the added bonus of being earth friendly and beneficial to delicate baby and toddler skin. Like the suncream, I love the smell of the body moisturiser and find that I keep sniffing my hands after I have applied it on Annabelle’s skin. It has a long lasting scent and leaves my hands baby soft. With this and the body oil, I would probably find myself using it rather sparingly as it is more than I would spend on a daily skincare product but that being said, a little does go a long way with these two items. When I go to buy it for Annabelle, I’d be inclined to buy the Baby Care set which contains all the five products together in order to save a bit of money and then I wouldn’t have to worry about the amount I use. 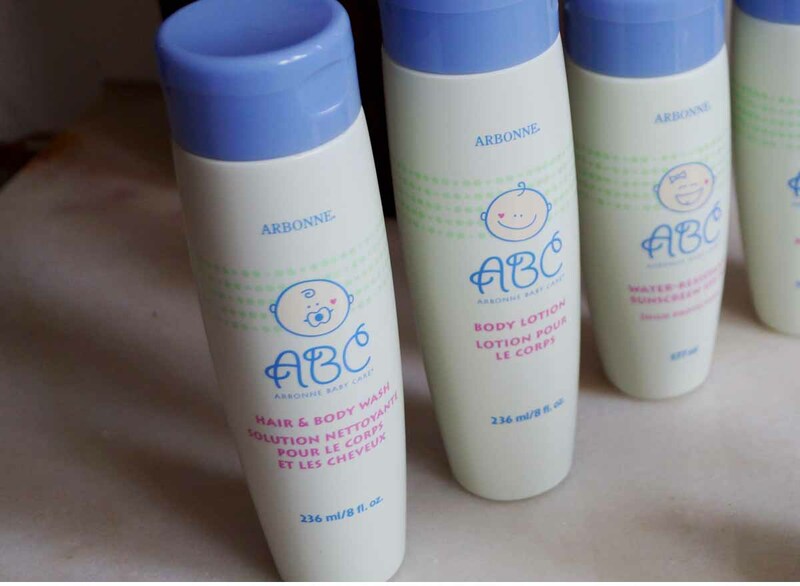 I’m really glad that I was given the opportunity to try these products from the Arbonne baby range as I like products that are good for the user and are earth friendly too. If you are worried about the cost of the product, the good thing about Arbonne is that a representative will talk you through the products you’re interested in and give you the chance to try it out before you commit. If you are interested in sampling any of the products I have mentioned and talking to someone from Arbonne, please visit their website for more information. You can see some of the other products in their range by clicking on this link: Arbonne. *I did not receive money for this post and all opinions are my own. 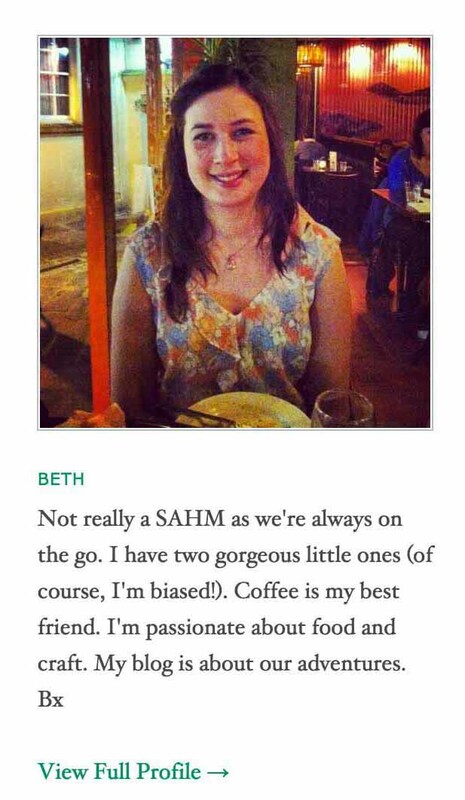 I only feature products that I have tried on this website and always give my honest opinion.